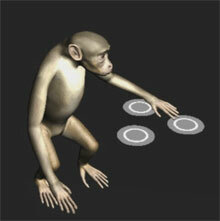 Monkeys have been controlling robots with only the use of their brain for several years. This is accomplished by implanting electrodes into the motor cortex of the brain. Now researchers at Duke University have also implanted electrodes into the somatosensory cortex of the monkey’s brain so that the monkey can feel different sensations during testing. 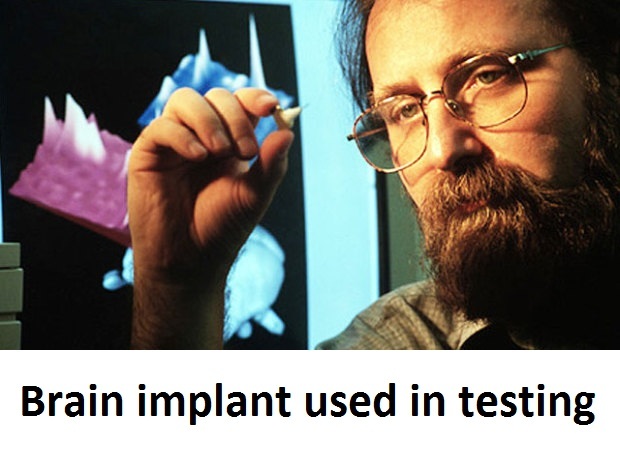 This type of research should eventually allow prosthetic limbs to become much easier to use due to the tactile feedback. This new type of research is opening up new possibilities not only for the use of prosthetic limbs, but also for the use of robotic exoskeletons. There certainly many possibilities for this type of research and as we map the human brain and it’s functions we will uncover new opportunities that we have never imagined before. While some prosthesis are robotic and some have even been tested with humans only using their brain to control them, they limit the user’s ability to effectively use them due to the lack of sensitivity involved. A typical problem might be with grasping a fruit. If the user of a prosthetic can’t feel the fruit, they can’t be sure it’s properly holding it without looking at it and they may drop it. Another problem would be that they grasp the fruit too hard, thus crushing it and making it useless. Only by adding the tactile sense feedback to the prosthetic can the functionality of the prosthetic be increased in such a dramatic way. This recent test used virtual reality, but real sensors can be made to provide tactile sensations based upon different electrical signals to the brain. We aren’t likely to figure out exactly the right signals to send for bumpy or soft, but if sensors can detect these conditions then the human brain will be able to eventually adapt to the new inputs. So how will this benefit us with intact limbs? DARPA has been funding research for a few years now on robotic exoskeletons. 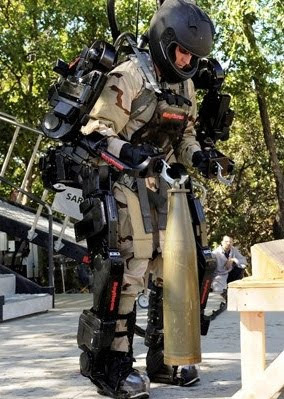 Last year Raytheon came out their the EXO 2 exoskeleon (named TIME magazine’s Most Awesomest Invention of 2010) which allows a user to exert 17 times the force that they normally would be able to through the use of hydraulic actuators. While devices like these are still in experimental stages, it’s easy to see how an exoskeleton could enhance a user’s abilities. A major drawback to these systems is the lack of feedback. If you are using a robotic hand that’s 20 times as strong as a human, how do you know how much force to exert when performing a task? With this new research a person would know exactly how much pressure to exert because they would actually feel through sensors linked directly to their brain. Industrial robots have already advanced because of the use of this type of Force / Torque sensor and when humans are able to directly feel robotic limbs, a new age of robotically assisted humans will be able to accomplish things never before possible.